The region’s largest bus operator, Go North East has invested over £1.6m in contactless ticketing, to make getting the bus even easier for people in the region. 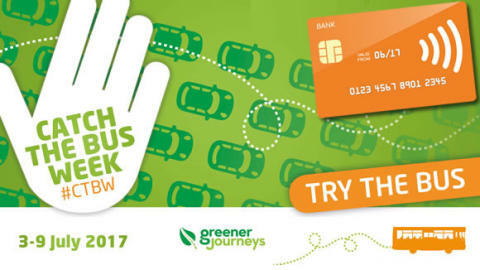 Being unveiled during Catch the Bus Week (3-9 July 2017), Go North East hopes the versatility and stress-free nature of contactless will drive passenger numbers across its Tyne and Wear, Northumberland, County Durham and Tees Valley services. 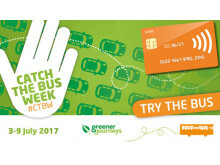 Now in its fourth year, Catch the Bus Week raises awareness of the associated health, economic and environmentalbenefits of bus travel, while aiming to drive long-term travel change. “Studies released on bus travel show it is a third less stressful to commute by bus than car, is good for the local economy and encourages more daily exercise,” explains Kevin Carr, managing director of Go North East. “And, we believe, by offering contactless payment options,non-bus users who were previously worried about having incorrect change or who were put off by the ticket-buying process, may be more inclined to just pop on the bus now. “Contactless has already been trialed for a few weeks on our popular Q3 Quaylink service in Newcastle, to great local acclaim and now we’re excited to launch it across all our services, during the popular awareness week,” Kevin added. From Wednesday 5th July, contactless payments can be made for single, return and day tickets on Visa and Mastercard, or via mobile using Apple Pay or Android Pay. As well as eliminating the need to carry cash, Go North East’s contactless methods offer customers protection against fraudulent use with secure payments, unlike other providers. The contactless investment is part of an ongoing programme of works by the company. In February, it spent on £1.6m on 10 new Wright Streetlite micro-hybrid buses for its Durham Diamond 16 and 16A services and £1.8m on 11 brand new, high-specification, environmentally friendly buses for its no. 49 bus services which operates between Gateshead, Dunston, Metrocentre, Winlaton and Blaydon. In June, it also announced a further £650,000 invested on refurbishing 36 vehicles, which included the introduction of five newly branded Blaydon Racer buses onto the roads of Newcastle, to mark the legendary fun run.